Tomorrow Jewish families around the world will sit down to celebrate one of the most important holidays of Jewish calendar - Passover. This is why this time I deliberately picked our the country for our virtual romp around the world - Israel. Disclosure: I am an Amazon associate, and this post contains Amazon affiliate links. For full disclousre, please click here and thank you for supporting my blog! Why Is Israel So Special to Me? 3 of my grandparents were Jewish. All of them were committed communists and atheists, so my parents were not raised in Jewish (or any other) faith. However, my grandparents did not forego their identity and eagerly watched what's happening with this new Jewish state. As you can imagine, Soviet mass media had their own antisemitic take on every event in Israel and they did everything possible to prevent Soviet Jews from emigrating either to Israel or to US. Nevertheless many people left, especially once the doors were opened by Gorbachev in 1986. My uncle with my two cousins who were under 10 at the time left for Israel, and my family ended up in the United States. My cousins grew up in Israel, married "native" Israelis and now are raising the first generation of Israel-born children of my family while I am raising my American girl here. I want to hope that my grandparents are happy with our choices and with the fact that some of their great grandchildren speak Hebrew - the language that was forbidden to study in their time. 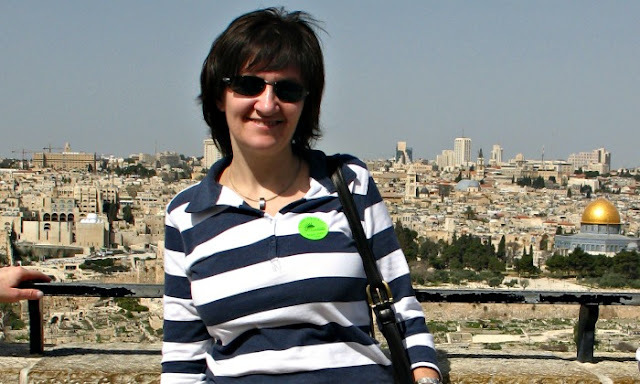 I was also very lucky to visit Israel many times for work, since the company I work for has a large site in Tel Aviv's suburb. 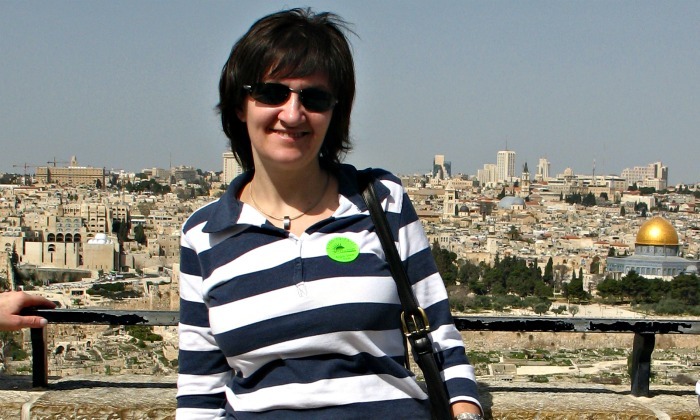 I always tried to take at least one extra day to explore the country or spend time with my Israeli relatives. Every time I go there, I feel the energy and purpose of the country that is focused on survival, and it's interesting to compare and contrast attitude of people in Israel and in US to many issues of everyday life. 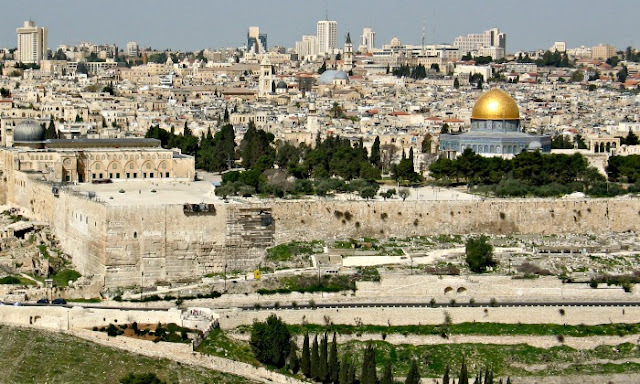 While I would not want to live in Israel permanently, I would love to take my family with me the next time the opportunity presents itself to go to Israel. In the meantime, Smarty has to travel there through books, pictures from my travels, and activities. 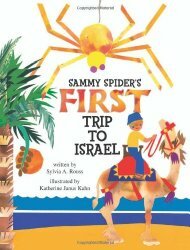 Sammy Spider's First Trip to Israel by Sylvia A. Roust is definitely a book for preschoolers. It focuses on sensory experiences of a young boy and a "hitchhiker" spider on their vacation in Israel. It does not carry a lot of information about the country, but could be a great introductory book for kids age 2 to 4. 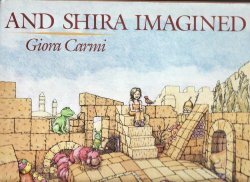 And Shira Imagined by Giora Carmi is another "visit to Israel" book, but it has somewhat more text and more suitable for ages 5-7. We liked the illustrations where one black-and-white spread has text and sketches of "real" Israel sites and another colorful spread has these sites transformed by imagination of a young main character. It's definitely worth checking out in your local library (we found our version at a library book sale). 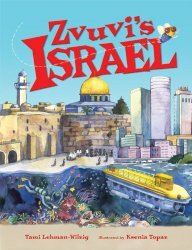 Zvuvi's Israel by Tami Lehman-Wilzig is a great introduction to many fantastic sights around Israel and the way they look today. Ksenia Topas' illustrations are beautiful, and younger kids can enjoy finding Zvuvi (a fly) on each page. Welcome to Israel! by Lily Rivlin is a lot more suitable for older kids - age 8 and up. 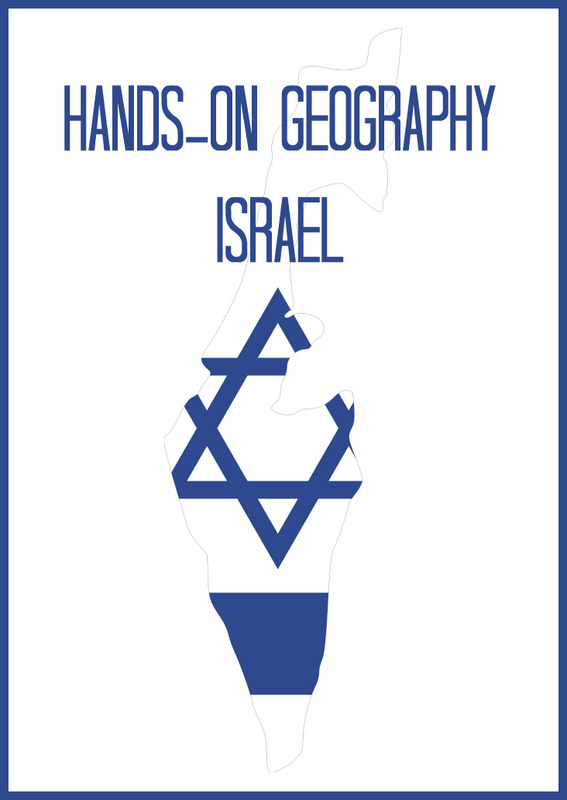 The book is chock full of information about history and geography of Israel and will appeal to kids who love facts based book. Smarty is currently not a fan of fact books, so she was lukewarm about it. The Royal Tour is a PBS series. Peter Greenberg is exploring different countries with their heads of the states serving as tour guides. I am actually not a big fan of Benjamin Netanyahu's politics, but I have to admit that he did a fantastic job showing off his country and also answering some tough questions about how he sees Israel's past, present, and future. 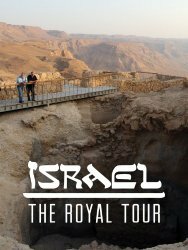 Israel: The Royal Tour, at times serious, at times light-hearted, is available for free for Amazon Prime subscribers, and our entire family loved it. Over years we have done many art and craft projects related to Jewish holidays. 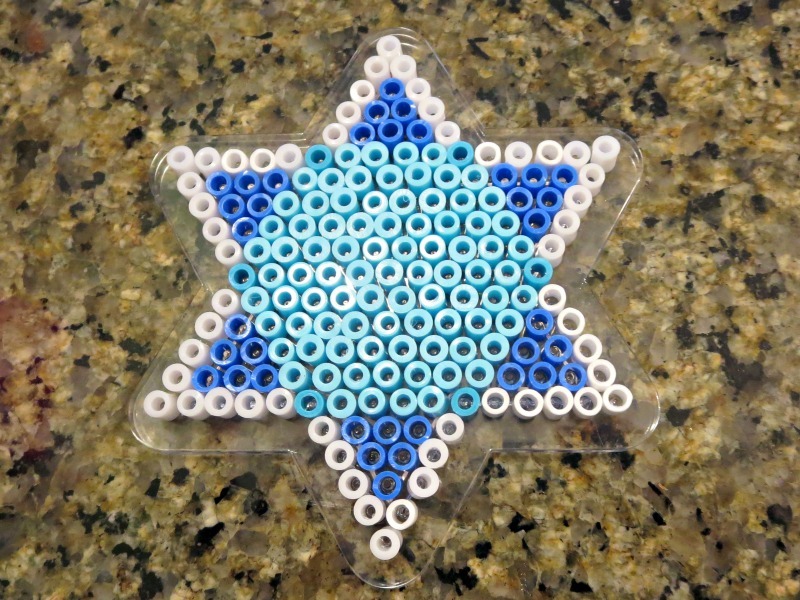 Menucha at Moms and Crafters has a great Pinterest board with activities for Jewish holidays. 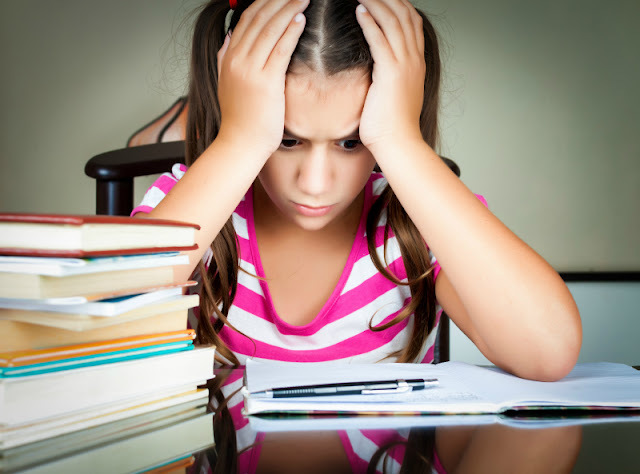 It's definitely worth checking out if you are interested to introduce Jewish holidays to kids. When Smarty was in preschool, we also learned a bit about Israel and its famous landmark - the Dead Sea. 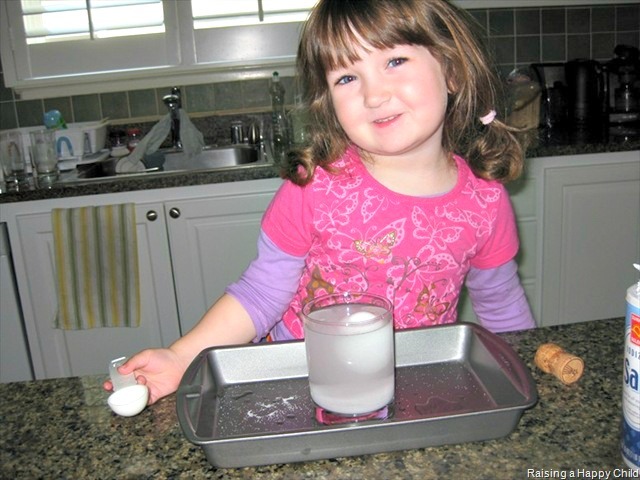 Smarty was fascinated to do this classic experiment and see how adding enough salt to water will make the egg float. This year, we studied formation of salt flats and researched whether the Dead Sea is destined to disappear entirely one day. We have another salt-related project planned - with any luck we will manage to do it in the next couple of weeks! Would you like to visit Israel for real? If not, why not? Follow my Geography Pinterest board. Wow, I would have love to visit Israel, but so far it's just books for me too! Amusingly enough I think that episode is the only one of that series we've seen, and it was quite amusing to see his tour of the country. I was reading this post, enjoying, and smiling to myself when I happened to noticed you linked to my Pinterest board - so thanks for that :) We lived in Israel for 3.5 years (my husband was born and grew up there) and my son was born there. It is quite a beautiful, fascinating place jam-packed and rich with history.